Couple's Extreme 'Game of Thrones' Wedding Is Fit for King's Landing - trendistic.com: ever tried. ever failed. no matter. try again. fail again. fail better. Game of Thrones and happy weddings usually go together like a Lannister and a Stark — not at all. 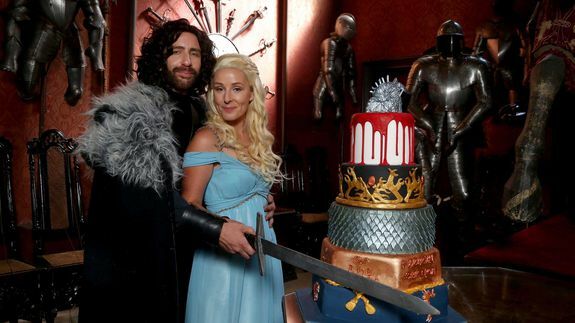 But one brave couple, Kerry Ford and Darren Prew, broke Westerosi traditions by throwing a Game of Thrones-themed wedding with (spoiler alert) a happy ending. The ceremony, set at Eastnor Castle in Herefordshire, England, involved the entire bridal party dressing up as characters of the show.